When I think of summer, I think of having a glass of wine on the patio at night. Grapes are the obvious next progression for this. 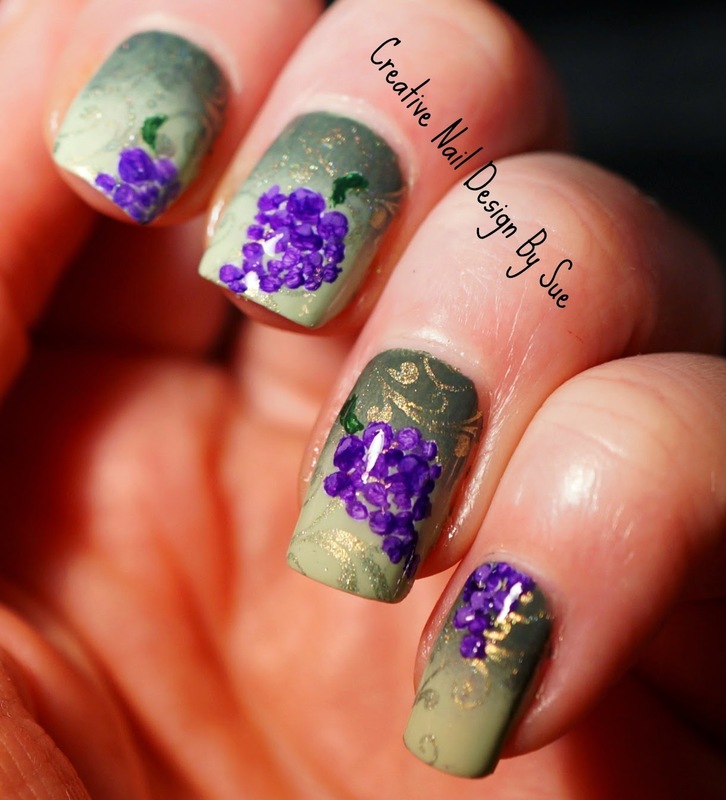 Here I have a little gradient, stamped with some gold vines and I added the grapes using acrylic paints. Those grapes look awesome! I like how they look to be textured too. This reminds me of an Italian restaurant! Love it! So pretty I love all these colors together! The gradient is amazing! I really love this one! Great job!